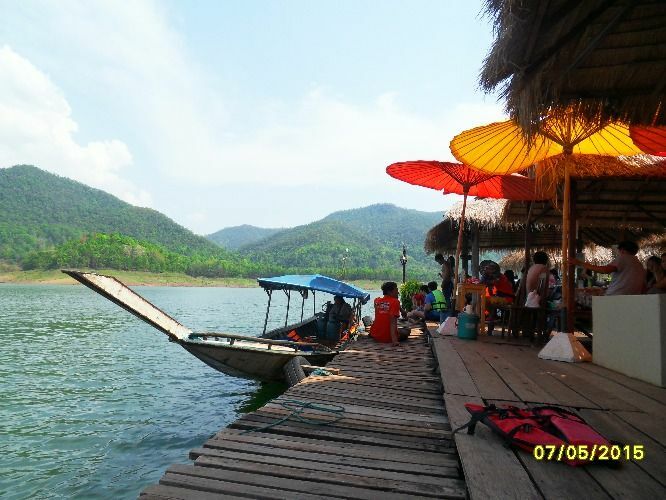 HomeChiang MaiLet's Take a Cool Swim in Mae Ngat Dam! Let's Take a Cool Swim in Mae Ngat Dam! Join me, and swim the heat out at Mae Ngat Dam! This is a relatively unknown place for tourists and even for some locals in Chiang Mai! I guarantee that you'll enjoy a cool swim right here in the hot Thai sun! What are you waiting for? Let's go! We arrive at Mae Ngat Dam! Let's take a cool swim in the blistering heat! Let's have lunch after the swim! Let's swim again and chill out! This is the chance for you to hang out at a not so well-known place! Time to get ready to go back to Chiang Mai city! I hope you enjoyed swimming and thank you for joining me! Not many people know about this place, many Chiangmai people have never been here!! Lovely trip, bike ride was lots of fun and the scenery was beautiful! Escape the Chaos to Chill at Chiang Dao Mountain on a Local Bus! I originally booked the trip "escape to the beautiful mountains". But I found out when Ms Darla picked me up that that tour was to visit Chiang Dao mountains and the Chiang Dao caves, where I had already visited the day before. Ms Darla was very flexible and accommodating to change the tour to "explore secrets of Chiang Mai". We visited Mae Jom, an orchid garden, a local village market and rounded up the day with a relaxing lunch by the lake at the Huay Tung Tao lake. Ms Darla shared with me about the places the locals go and the other tours she guided. I hardly saw other foreigners during our day trip. Even the menus at the places where we had lunch and breaks were written in Thai. While the trip was relaxing, it might not be suitable for someone who wants to visit as many places as possible in a day. Then again, if someone wants to experience the local culture, it is not the local style do a day trip by rushing from one to another. I had a really good time with Darla and seen some amazing sights. I feel like the transport could have been better organized coming down from the mountain, but this did not effect my overall happiness from the trip. Take a Day Trip and Explore the Secrets of Chiang Mai!